Quality Focused, Customer Driven - We're here to help you. Surfacing Solution works with both residential and commercial clients. We sell a wide variety of products for walls, ceilings, wainscoting and more including our thermoformed faux tin ceiling tiles and tambour. We also deal with acoustical issues including airborne and impact noise in commercial and home environments. Surfacing Solution has been in business for more than 30 years selling quality products at low prices; Always with an emphasis on customer service. We take great pride in our company and the products we sell and will work with you to make sure you're completely satisfied. Already know what you want? Head over to our store to gather your things! We've been in business over 30 years - find out how we started and grew into who we are today. Need samples or have questions about our products, installation, or need help solving a noise problem? We're here for you. 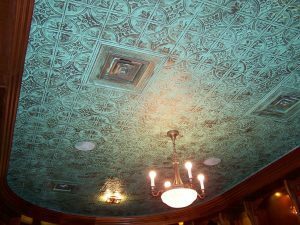 Decorative Ceiling tiles: Specializing in decorative faux tin ceiling panels that can be used as a surface-mount ceiling tile. Our ceiling tiles are Class-A fire rated, and can easily be glued up over any solid surface. This is a great DIY project for any homeowner or contractor. They can even cover popcorn ceilings! Most of all, they are not only perfect for decorative ceiling tiles! They can also be used as tin panels for bar fronts, tin wall panels, or even on covered outdoor porches! We also have tin style tiles available for suspended ceiling systems (standard t-grid ceiling). They can either be mounted to an existing or new ceiling tile, OR we have 'ready to install' ceiling tiles available that drop in. In addition, we have real metal tin ceiling tiles available for nail up installation. Tambour is our second core product. 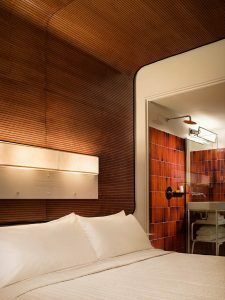 These flexible wood panels, are made of slatted wood. They are great for wrapping around bar fronts, columns, curved walls, or ceilings. Another method is installed flat directly against a solid backer, to add a unique wood decor to any residential or commercial interior design wall covering. We have solid wood panels and veneer wood panels. We also have a metallic veneer available. These are extremely easy to install and fire rated finishes are available. They are also used as tambour doors and tambour cabinet faces. Acoustical products are our third specialty. We can help stop noise, and absorb noise and lower noise. 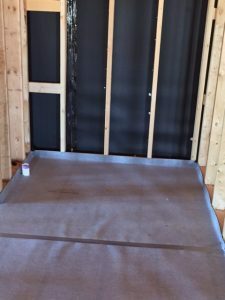 Our Noise Control Barrier, effectively helps prevent sound from passing through walls and ceilings. We also have acoustical underlayments for lowering sound under hardwood, carpet, LVT, and ceramic tile. While nothing can be 100% soundproof, we'll get you as close as possible! Our acoustical consultant and our sound engineer both over 25 years of experience each.